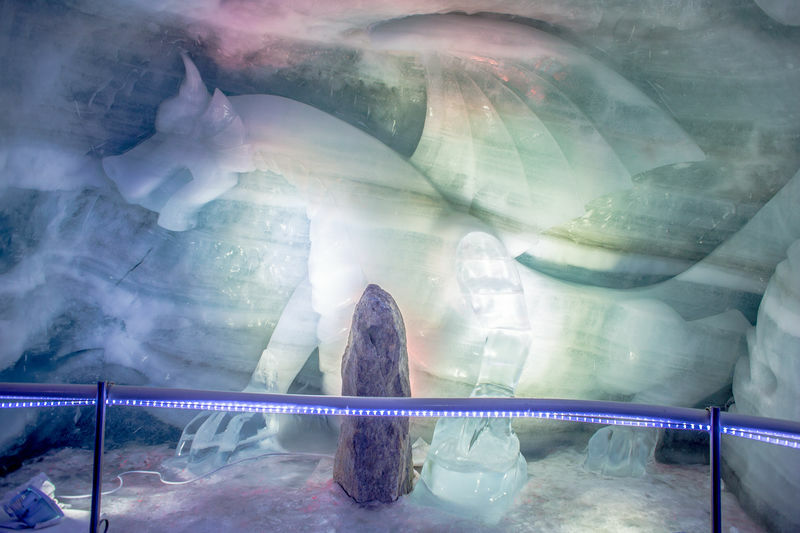 Sparkling ice crystals and glittering ice sculptures enchant visitors to the glacier palace. 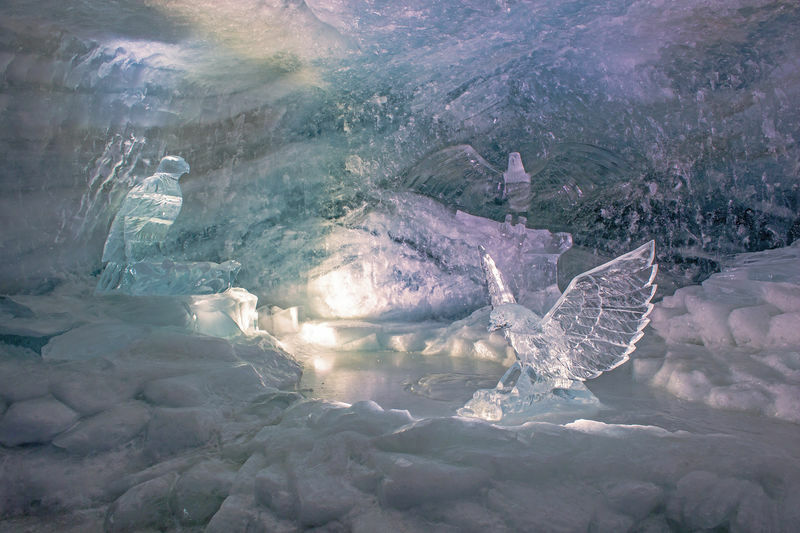 A lift carries guests 15 metres below the surface of the glacier to a fairy-tale palace deep under the perennial snows. 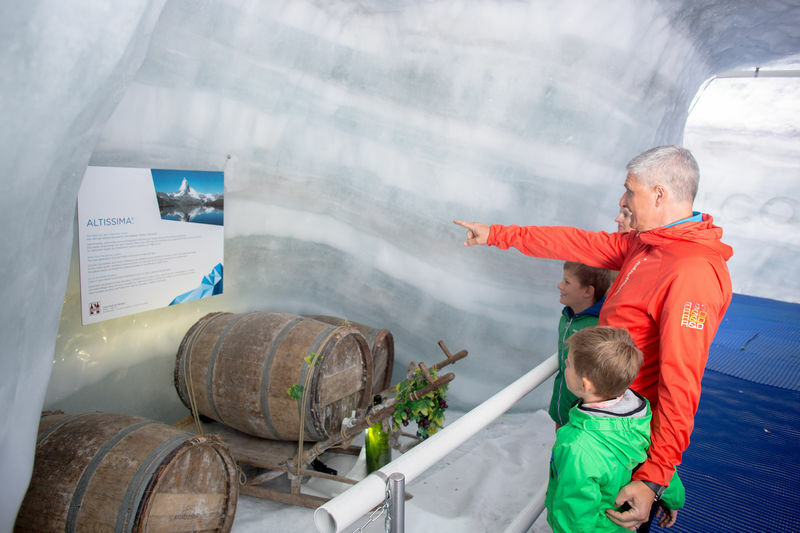 An ice tunnel leads through the glacier to sites such as a glacier crevasse and an ice toboggan run. 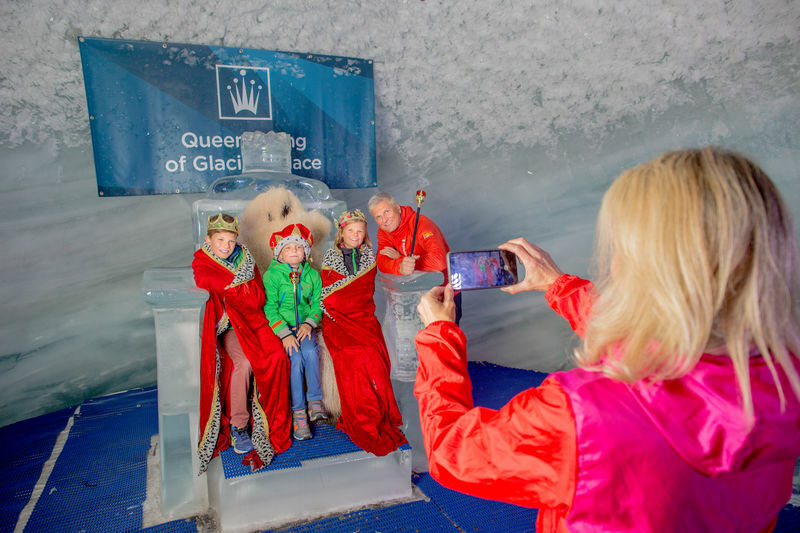 Cosy furs adorn ice benches; ice sculptures evoke the world of the ice fairy tales. 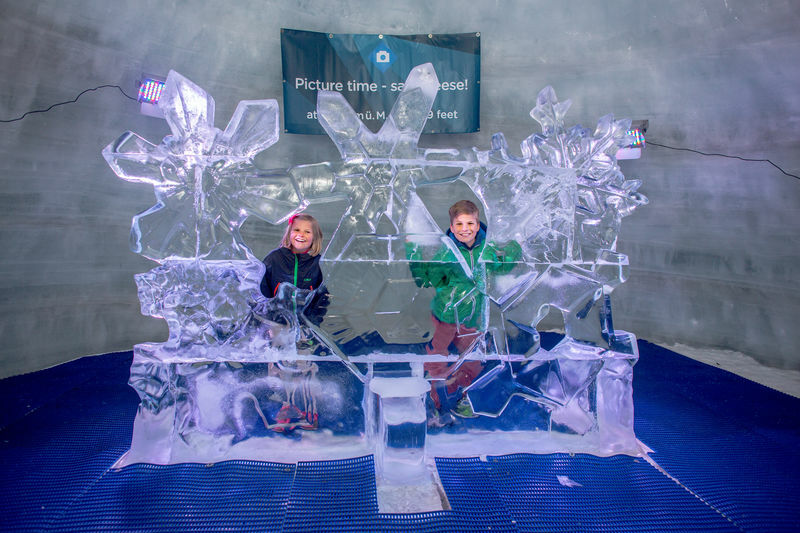 Ice sculptors regularly create new artworks.